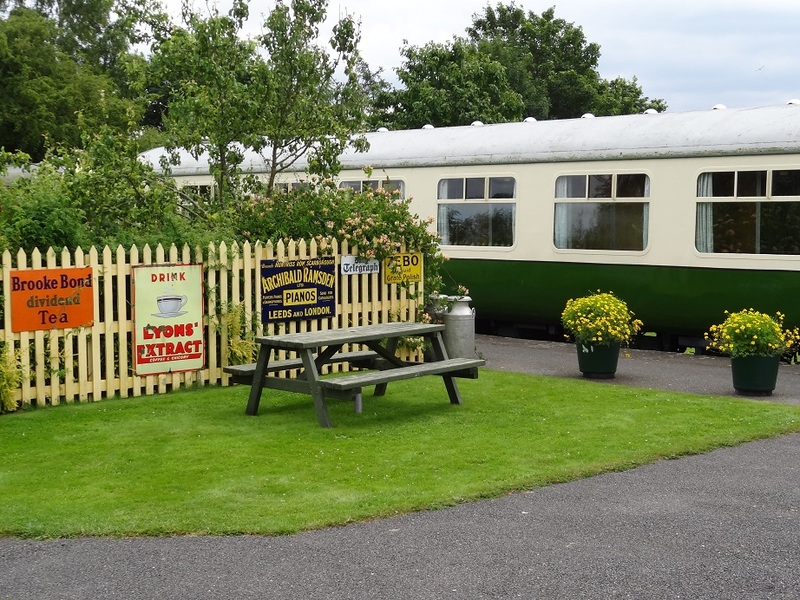 Three four star self catering railway carriages in North Yorkshire.Close to North York Moors steam railway at Pickering. 12 miles from the coast. 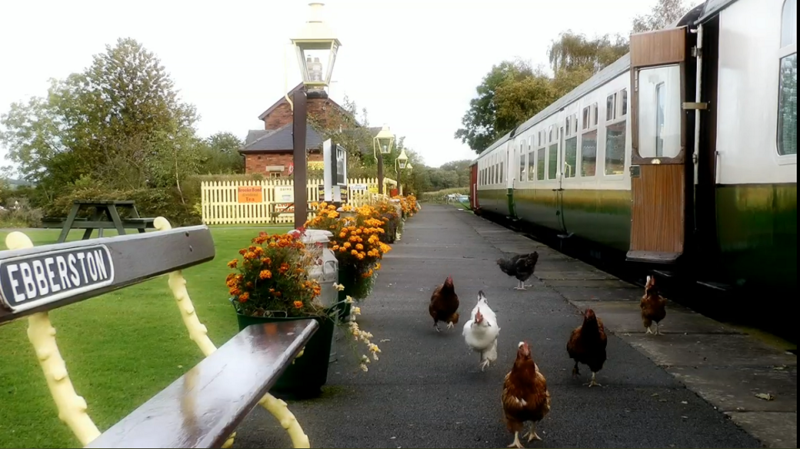 25 miles from the National railway museum. The three carriages, all ex BR Mk2 First Class Corridor stock, were built in Derby during 1968-9. 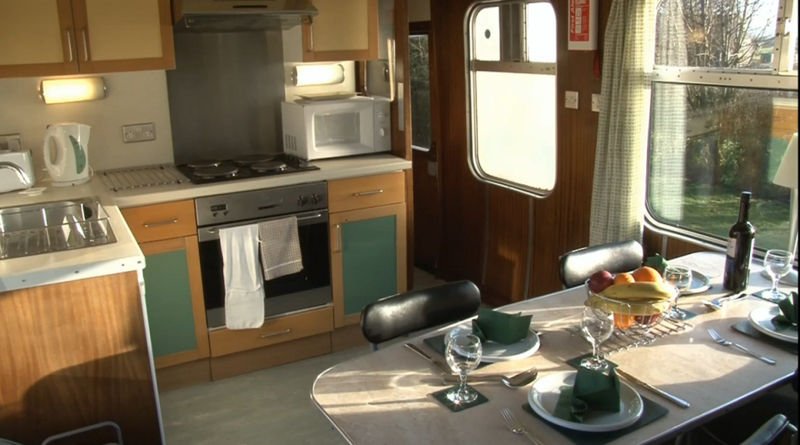 They are now exceptionally well equipped for self catering, having undergone a comprehensive conversion. Each carriage has central heating and an air extract system throughout; oven, hob, microwave and fridge; TV, DVD and radio; bath with shower attachment. The carriages stand in train formation but are not interconnected. 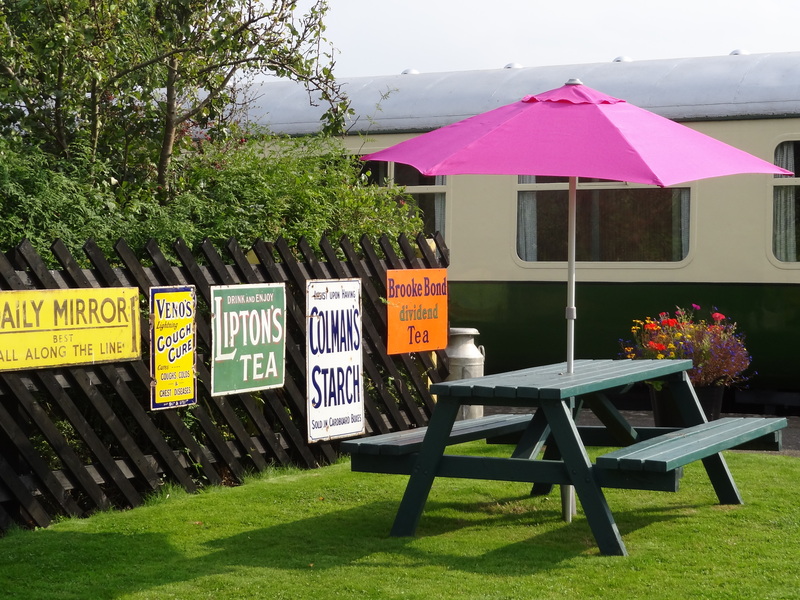 You book an entire self contained carriage providing kitchen/diner, lounge, 2 or 3 bedrooms and bathroom/wc. All bed linen, towels and tea towels are provided. Clothes washing and drying facilities are freely available in the ‘Staff Tool Van’. Cots and high chairs can be provided on request at no extra charge.